Katherine Ellison is a Pulitzer-Prize winning investigative journalist, former foreign correspondent, writing consultant, author of four books, and mother of two sons. 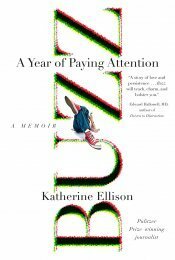 Her latest book, a new memoir titled Buzz: A Year of Paying Attention (Hyperion Voice), is an intriguing and personal yet relatable account of life with a high-spirited child, combined with a journalist's overview of the controversies surrounding Attention Deficit/Hyperactivity Disorder and how best to manage it. Ellison has written widely on recent developments with ADHD, now estimated to affect at least 10 million adults and nearly 5 million children, for national media including The New York Times and The Washington Post. Her humorous, engaging, and informed perspective as both an investigative journalist and a parent of a child diagnosed with ADHD who has also been diagnosed herself makes her a perfect fit as a keynote speaker for conferences of mental health professionals, teachers, and parents' groups. Currently, Ellison is collaborating with the Harvard education-neuroscience expert Todd Rose on a book addressing the revolutionary changes in education now underway, and specifically how parents and schools can help smart, quirky kids stay engaged with an imperfect system. In her keynote lectures, Ellison shares both how she and her son deal with ADHD in their everyday lives, and what she has learned from a year spent figuring out how to make the public-school system work for her child, as well as navigating what she calls the ADHD Industrial Complex: the multi-billion dollar industry of medications and non-pharmaceutical interventions that can overwhelm the uninitiated consumer. She also addresses the trends in everyday life that make people with ADHD coal-mine canaries in an increasingly distracted world. 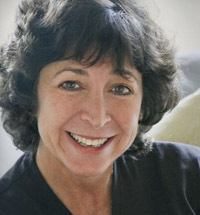 Ellison's writing has appeared in publications including Smithsonian, Time, Fortune, Working Mother, and The Atlantic Monthly. She is a member of the N. 24th non-fiction writers' group, and her consulting work has included speechwriting for executives at Google.org and Kleiner, Perkins, Caulfield & Byers, and editing and writing for the Packard Foundation, the Ford Foundation, The Nature Conservancy and Stanford University. In 1986, Ellison and two colleagues at the San Jose Mercury News -- Pete Carey and Lew Simons -- won a Pulitzer Prize for International Reporting for a series of articles that exposed how Ferdinand and Imelda Marcos had looted the Philippines's treasury and clandestinely purchased properties in the United States. The series led to congressional investigations in the United States and in the Philippines, which contributed to the Marcos's fall from power. Some of the material became the basis for Ellison's first book, Imelda: Steel Butterfly of the Philippines. From 1987-99, Ellison was based first in Mexico and then in Rio de Janeiro as bureau chief for Knight Ridder Newspapers. She has also reported extensively from Central and South America, Asia, and Africa. She has traveled underground with Eritrean guerrillas fighting the Ethiopian government, reported from the front lines of U.S.-backed wars in Central America, hunted for Nazis in Paraguay and Argentina, and spent a week traveling with a band of Huichol Indians during their annual ceremonial peyote hunt in central Mexico. She has been taken hostage by Mexican peasants, arrested by Cuban police, tear-gassed in Panama, chased by killer bees, and required to watch more World Cup events than she cares to remember. She now lives in the San Francisco, California, Bay Area, where life is somewhat calmer. "...an insightful, fast-paced, unexpectedly funny read." "Like downing triple venti espressos." "Combining a mother's ferocious love with an investigative journalist's curiosity and rigor, Katherine Ellison holds a magnifying glass up to her young son, her family history, and perhaps most of all, to herself. The questions she asks about attention are ones we can all benefit from exploring. This is a powerful story -- raw, brave, honest, smart, and ultimately redemptive." "Long after reading this smart and tender memoir, I am still rooting for Buzz." "Many, many people will be grateful and relieved that journalist Katherine Ellison, an author blessed with pinpoint pitch and timing, had the courage, heart, humility, and downright heroic sense of humor to write this wise, insightful book. Prepare yourself to fall in love with the family in it -- and, quite likely, to understand your own a whole lot better." "It's a lonely, confusing jungle out there for parents of behaviorally challenging kids. Behind every tree is another doctor, theory, or promising intervention. Katherine Ellison's journey through the jungle, in an effort to understand and help her challenging son, is bumpy, difficult, humorous, insightful, riveting, and real. If you're the parent of a challenging kid -- whether your journey through the jungle has just begun or you're already in the thick of it -- [you've got to] read this book!"